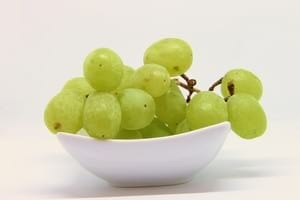 Grapes are a type of fruit that come in a number of colors. They are grown all over the world and aside from being used for wine production, they are a popular between-meal snack for us humans. A grape is a great source of natural sugar and a great treat for ducks when given in moderation. Before feeding them to ducks, our advice is to cut the grapes in half as this will make consumption easier. When looking for a healthy alternative to bread, grapes are a good choice for feeding both domesticated and wild ducks. Preferably combine the grapes with other treats and exercise portion control. Conclusion: sure, ducks can eat grapes as an occasional treat. Do you feed grapes to your duck? We’d love to hear from you. Terms of Service - Privacy Notice - © 2019 WhatAboutPets. Powered by Jekyll & Minimal Mistakes.